Perth Festival has announced its line up of guest performers for NASSIM, the Australian premiere season of Iranian playwright Nassim Soleimanpour’s Farsi-language script that calls for a new actor each night to perform. San Cisco indie rocker Scarlett Stevens, radio hosts Matt Dyktynski, Richard Fidler and Andrea Gibbs, writer Sisonke Msimang, actor-director Humphrey Bower, and actor Kelton Pell will fly by the seat of their pants when they perform solo in a foreign language without any rehearsal, preparation, or study of the script. Soleimanpour brings his self-titled show to the Studio Underground of the State Theatre Centre for just seven shows from February 20-25 after an award-winning 2017 Edinburgh Fringe season. 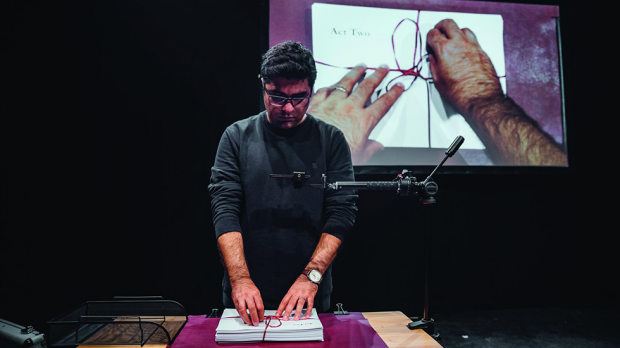 NASSIM is an autobiographical tale of an artist once barred from travelling abroad, the freedoms and limitations of language, and how it can unite us in times of uncertainty. Each new actor begins NASSIM with the script sealed in an envelope. With Soleimanpour controlling proceedings from a booth at the back of the theatre, the script is projected onto a screen for the audience to read and discover together with the actor. 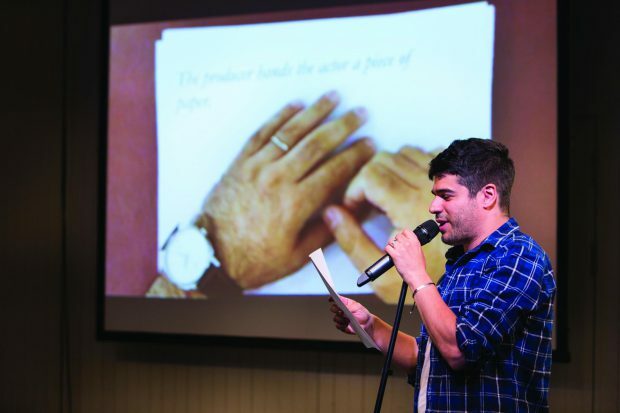 The Berlin-based Soleimanpour’s multi award-winning play White Rabbit, Red Rabbit (presented in 2014 by Perth Theatre Company) and follow-up BLANK (presented at The Blue Room for FRINGE WORLD 2017), which are also performed straight from the script by a new guest actor, have been translated into more than 25 different languages and performed by the likes of Sinead Cusack, Ken Loach and Whoopi Goldberg. NASSIM guest stars perform as follows: Tue 20 Feb, 8pm (Scarlett Stevens); Wed 21 Feb, 8pm (Andrea Gibbs); Thu 22 Feb, 8pm (Humphrey Bower); Fri 23 Feb (Richard Fidler); Sat 24 Feb, 2pm (Kelton Pell); Sat 24 Feb, 8pm (Matt Dyktynski); Sun 25 Feb, 5pm (Sisonke Msimang). NASSIM is at Studio Underground, the State Theatre Centre from February 20-25.